You are reading page 2 of Continuing Education for renewing license. If you want to start from the beginning Go to First Page. jay_j has 10 years experience and works as a Registered Nurse. You don't send copies of CEUs to the NM BON, just swear on the ap that you did them. Random licenses are pulled for auditing, and then you have to prove your CEUs. I've not had to send them anything for years, although I've certainly got the proof that I did them. i'm trying to fill up the forms right now. i'm not sure what i should write in the declaration of primary state residence. i declare the state of ______ as my primary state of residence and that such constitutes my permanent and principal home for legal purposes. upon licensure in new mexico i intend to practice in the state(s) of __________. i'm not sure what to write in the blanks since i'm still here in philippines... and never been or worked in u.s.
have you had a current u.s. nursing license in any state within the last four years? -- it's a yes, right? or are they referring to another state aside from nm? bianx has 4 years experience and works as a RN. 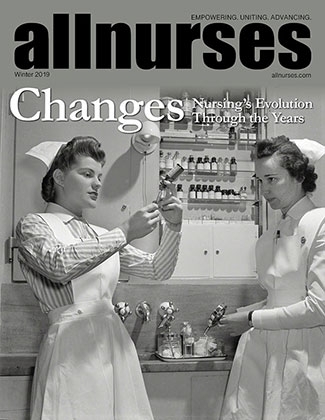 search in "nursing education of america", they have 30-hour online courses. i have a problem with this though. I am in the Philippines and they don't accept my Philippine address and credit card info in the registration form. H.E.L.P.!!! can anyone help me out? i was about to fax d renewal form to NM BON yesterday by a phone company since i dont have a fax machine, but they couldn't get it sent... they only got a busy tone from the fax number provided in d form. they said they need a 12 digit number but there's only 10 digits including the AREA CODE of NM. they tried adding 00 preceding the 10 number but it still didn't work. I'm from Philippines, by the way. does any of you who have renewed your license know what numbers exactly i should use? I hope i can get it sent within this week so I'll still have an allowance before my license expires.. just in case something goes wrong with the processing. HELP! This is from the website. I didn't have a problem getting through with the fax number. i checked d credit card use but there was no deduction from NMBON even when i already faxed my renewal form. does it take time for them to deduct it to the credit card or is it supposed to take just a day or two after they get my application? if not, would they charge me double if i send it again and they'll get two application forms from me? Did you guys ever have your license renewed? Were you able to renew with out a ss#? Hi, my name is Marie and I`m facing the same problem with the renewal of my liscense, I found a couple of free and with a fee CEU´s online but I`m not sure if they are approved by the BON. I´ve to take them online for I´m a nurse in Germany with an NM liscense, I want to keep this liscense valid because I´m planning on moving to the US someday. Can please someone help me and let me know which CEU site or courses online are approved by the BON.